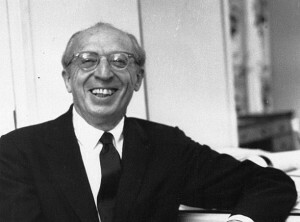 Copland grew up in Brooklyn, the son of Russian-Jewish immigrants. By the age of 15 he decided to become a composer and in 1921 studied with the famed teacher Nadia Boulanger in Paris. His early avant-garde, abstract style matured into a vigorously American expression, replete with elements of jazz, folk songs, and spirituals, but also uniquely modernist. For such works as the ballets Billy the Kid (1938) and Appalachian Spring (1944)—among many others—he gained enduring recognition as a representative American classical composer.